This report gives details of a series of computing lessons designed to relate fundamental concepts of database use and design to children in Primary and Secondary Education (ages of 6 to 16). The skills and concepts developed in these lessons begin at a very simple level but progress to cover abstract concepts such as Relational Databases. 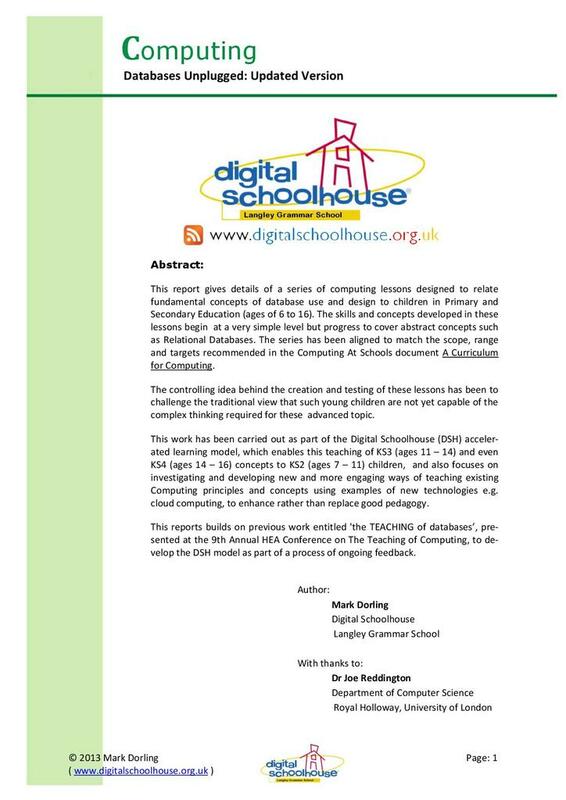 This resource has been provided by digital schoolhouse and was written by Mark Dorling.